You will see the list of all existing contacts. If you have many, it might be a good idea to use Search form in the right to find the one you need. You can choose whether you want to search by Display Name or E-mail Address. Once you found the contact you were looking for, click at them. 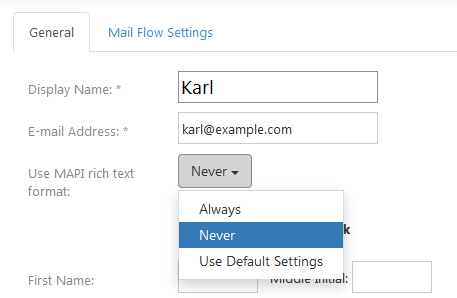 You will see two tabs, General and Mail Flow Settings. Let's take a look at General. When you're done here, click either Save Changes or Save Changes and Exit. 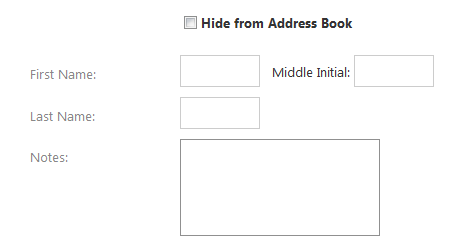 The first option will leave you at this page, the second will redirect you to the list of all contacts.